In this post i will tell you how to create very simple customized 404 error page and how to set this customized error page.This means when customer enters the domain based wrong url or removed page url it shows the 404 error. So you can customize this error page and set it to the removed pages or wrong pages. 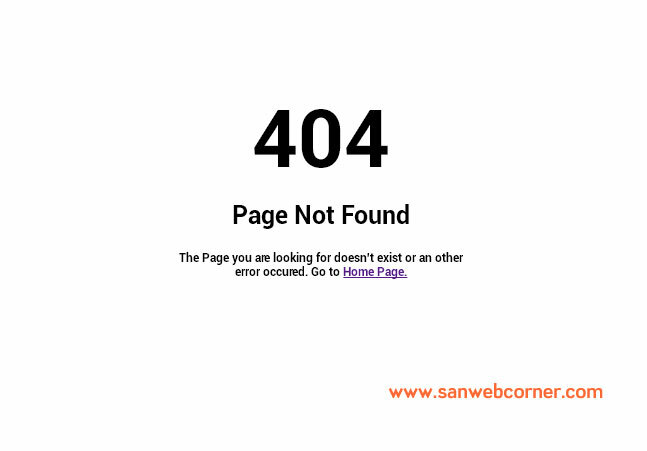 Below example shows how to create simple 404 error page. Here i given demo page to view the page and also i given the source code you can customize this source code according to your design. If .htaccess file exist you can edit the file and place the below code. The .htaccess file should be in root folder. If .htaccess file not exist you can create the file and put name as .htaccess file and put the below code and put it in the root directory.